Media Spinners: A Scientific Hypothesis Must Be "Testable". A hypothesis is an "educated guess." It can be an educated guess about what nature is going to do, or about why nature does what it does. A scientific hypothesis must be falsifiable. Science proceeds by making observations of nature (experiments). If a hypothesis does not generate any observational tests, there is nothing that a scientist can do with it. Arguing back-and-forth about what should happen, or what ought to happen, is not the way science makes progress. "Our universe is surrounded by another, larger universe, with which we can have absolutely no contact." This statement may or may not be true, but it is not a scientific hypothesis. By its very nature it is not testable. There are no observations that a scientist could make to tell whether or not the hypothesis is correct. Ideas such as Hypothesis A are interesting to think about, but science has nothing to say about them. Hypothesis A is a speculation, not a hypothesis. Often the requirement that a scientific hypothesis must be testable is phrased as "a scientific hypothesis must generate predictions". The word "predictions" can often cause confusion, since we commonly think of a prediction as telling about something that is going to happen in the future, like "Next year, Lindsay Lohan will marry a frog." A scientific prediction is not something that is going to happen, but rather something that is happening right now, but no one has ever noticed. In other words, a prediction suggests a test (observation or experiment) for the hypothesis. To say that a hypothesis "generates predictions" means the same thing as saying the hypothesis "is testable". A Scientific Hypothesis Must Be "Falsifiable". A scientific hypothesis must be testable, but there is a much stronger requirement that a testable hypothesis must meet before it can really be considered scientific. 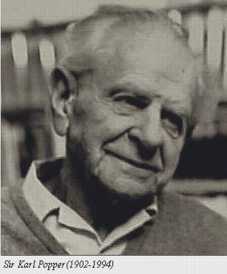 This criterion comes primarily from the work of the philosopher of science Karl Popper, and is called "falsifiability". "There are other inhabited planets in the universe." Radio telescopes on earth begin to receive signals from somewhere in the Andromeda Galaxy that appear to be reruns of the "I Love Telek" show. Knock, Knock. "Greetings, earthling! I am Telek from the planet Zoron in the Andromeda Galaxy. I have just landed in your backyard. Take me to your leader." So, if Hypothesis B is true, there are observations that scientists could make that would prove its correctness. But, the hypothesis may be wrong. (Most hypotheses are...) If Hypothesis B is wrong, there is no test that will prove it. If one of our space probes never finds an inhabited planet, it doesn't mean that one doesn't exist. If we never receive signals from space, or Telek never lands in your back yard, that does not prove that the hypothesis is wrong, either. Hypothesis B is not falsifiable. Hypothesis C: "Any two objects dropped from the same height above the surface of the earth will hit the ground at the same time, as long as air resistance is not a factor." It is testable - pick 2 objects, and drop them. Of course, you may have to provide a vacuum for them to fall in, in order to remove air resistance from consideration. It is falsifiable - If anyone finds 2 objects that don't hit the ground at the same time and can show that it is not due to air resistance, then she has proven the hypothesis wrong. This hypothesis "sticks its neck out" for every test. In theory and in practice, if Hypothesis C were wrong, it would be very easy and straightforward to show it. In his youth, Karl Popper studied the "social theory" of Karl Marx and the "psychological theory" of Sigmund Freud. Both of these ideas claimed a scientific basis, and both could produce evidence to support their hypotheses - historical evidence on the part of Marx, and clinical case studies on the part of the Freud. Popper eventually became unhappy with both Marx and Freud (and their followers) because he felt that they were both too quick to "explain away" any evidence that contradicted their ideas. For instance, Marx had predicted that the communist revolution would begin in a highly industrialized country, like Britain or Germany. Instead, the communist revolution occurred in Russia, which was hardly industrialized at the time, and never spread to the industrialized nations. Marx's followers explained this by claiming that it was due to "unforseen historical accidents" and Marx wasn't actually wrong. Popper also noted that Freud often used essentially the same explanation to explain vastly different behavior - a brutal murderer was acting under the same influences as a generous philanthropist. As Popper pointed out, it is relatively easy to gather evidence for just about any idea, but a hypothesis is essentially worthless unless it is "risky" - it must make predictions that could contradict it. The process of gaining real confidence in a hypothesis, then, is not in accumulating evidence in its favor, but rather in showing that situations that could establish its falsity don't, in fact, happen. Most Scientific Hypotheses Can't Be Proven Correct! Note that it is very easy to prove Hypothesis C wrong (if it were), but it is impossible to prove it correct! Since Hypothesis C states that any pair of objects behaves in a certain way, in order to prove it correct, all possible combinations of objects that exist (or have ever, or will ever exist) must be tested. This is clearly not possible. As we test Hypothesis C more and more, we can get more and more confident in its truth, but we can never be absolutely sure. Someone could always come up with 2 objects tomorrow which don't behave exactly as Hypothesis C says they should, and this would make Hypothesis C incorrect. Actually, this almost happened. Just a few years ago a group of physicists published a paper claiming that careful reanalysis of some experimental data published at the turn of the century (which confirmed Hypothesis C) actually showed that things made of large, heavy atoms fall very slightly faster than things made of small, light atoms. This "fifth (antigravity) force" idea caused quite a stir for a short while, but no one has (so far) been able to confirm this effect. If other physicists had been able to observe it, Hypothesis C would have been proven wrong. "This big object right here and this little object right there will hit the ground at the same time when I drop them from the same height." Hypothesis D can't be proven correct, either! Who is to say that someone won't show up tomorrow with some brand new, super-sophisticated, high-tech measuring instrument and say "Look! My measuring device clearly shows that the little object hits the ground fully a half a trillionth of a second before the big one." The best we can ever say (as scientists) is something like, "It certainly appears to me at this time that both objects hit the ground at the same time." Even timid little Hypothesis D cannot be proven to be absolutely true! What if the Hypothesis Fails a Test? If a hypothesis fails a test, it cannot be true, and it must be modified or discarded. In science, if there is a conflict between observation and hypothesis, the hypothesis loses. It doesn't matter whose hypothesis it is or how famous they are - if the hypothesis does not conform to reality it must be rejected. What if two or more competing hypotheses both pass some initial tests - how do you choose between them? Certainly, if the hypotheses generate different predictions it will be a simple matter to pick the best one - as long as it is feasible to carry out the experimental tests. What if the competing hypotheses don't give distinguishable, feasible predictions? Enter "Occam's Razor". If two hypotheses can't be distinguished experimentally, choose the simpler one. Here is an excellent article on Occam's Razor. Just because a hypothesis is not scientific does not mean that no scientist will ever investigate it. Hypothesis B, for instance, is just too "juicy" for some people to pass up. It is currently being investigated by scientists (and has been for many years), with such programs as "SETI" (Search for Extra-Terrestrial Intelligence) which uses large radio telescopes to try to detect signals from outer space (Test 2 on page 1). A lot of time, effort, and money has been spent on it. Hypothesis B is not a falsifiable scientific hypothesis - so such an investigation can only pay off if the hypothesis is correct and the telescopes detect something recognizable. So, is the possible payoff worth the effort and expenditure? This is a question that you will need to answer for yourself. As a taxpayer, after all, it's your money! Practice quiz on scientific hypotheses.